If you're in a trade or construction related business, it's become so important to be to visually communicate the type and quality of the work that you do, and the services that you provide your clients. With out a portfolio photographed by edge commercial photography, you will potentially be missing out on great clients, and stronger margins, because your clients won't be able to see the great qualities of your previously completed projects. Call edge today for a free quote. 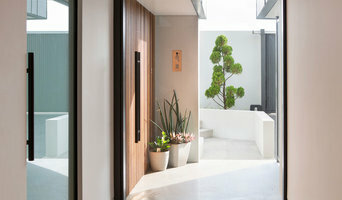 Boutique architectural practice offering personalised, professional services in all aspects of architecture and building. We provide services to build your dream home, as well as service for Office Fitouts, Commercial Projects and Child Care Centres. . The localities which we service is generally the inner areas of Newcastle, particularly around Merewether, Bar Beach, and Hamilton. All clients receive personal service with personal attention to detail. Building is a collaborative process, and it is essential that the client and the team can work together to ensure an excellent outcome. I am an experienced Architect who can guide you through the process to achieve your goals. The work that we do is a reflection of who we are. – Joshua Ferris At Ferris Building, we have a passion for the challenge of building high quality architect custom designed homes. We do things a little differently and we believe that ‘close enough’ is ‘not good enough.’ We want you to be absolutely happy with every aspect of your home. Ferris Building has been awarded from both industry and peer associations for our high quality building works. This professional, ambitious team all share the same passion for building, which enables us to deliver the best possible results to our client’s, turning ‘Dreams’ into ‘Reality’. We create and nurture positive relationships by having in person meetings, both formal and informal, in our client’s home, architect offices or here at Ferris Building. We value and invest in the time required to develop relationships with all that are involved, including, architects, interior designers, sub-trades, consultants, clients and our own team members. Our clients value a personal and working knowledge of who we are and how we do things and we believe this sets a strong foundation for the challenges of the build process. Lewis + Zwart Architecture is a Newcastle based Architectural company that was formed in 2012 by Abigail Lewis and Troy Zwart. We strive to deliver quality projects through design excellence and technical competence. We believe that social and environmental responsibility, as well as economic viability, are fundamental tenets of architecture. We have over 30 years of combined experience and have helped deliver a wide range of projects. Our residential projects have ranged from small alterations and additions to large custom designed houses and medium density multi-unit developments. We also have experience in commercial, educational, institutional and medical projects including office fit-outs, community and school libraries and community sporting facilities. In every project, we seek to foster a culture of integrity, quality and creativity. We hold these values in high regard as we deliver our clients’ projects with imagination and flair. Ekah Studio is an architecture and interior design practice founded by Jasmine Richardson. We offer a creative and inclusive approach to design, delivering alternative solutions balanced with rigour and precision. From a small studio office in a quaint lakeside community north of Sydney, we see architecture and interiors as part of life, rather than purely "business". My love for architecture and passion for creating and designing unique, special and healthy environments is the foundation for my business. 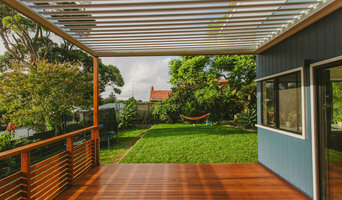 We offer design services for residential home owners including new homes, additions and alterations and multi-dwelling developments as well as retail, hospitality, workplace design and projects of a public nature. We also offer interior design separate to the building design process. Based on a personalised approach, the team at Ekah take our time to get to know our clients, we want to talk as your friend as well as a professional. We are passionate about good design and helping others achieve their dreams. As owner, I personally deal with clients from concept to completion, to ensure continuity and accuracy. Rich Matthews has been designing homes since 1985 so there is a lot of experience gained in those 35 years. He specialises in single family residences (new or renovations) but also does multi-residential and some commercial design. You and your project will benefit from the speed of developing great design options in a 3D computer model. He gives you personal attention and carefully listens to your needs and aspirations… and your budget. You’ll be able to view your new or renovated home with a 3D walkthrough on the web or on your iPad, tablet or phone with a free BIMx viewer. You can easily visualise various design options to ensure the design suits your every taste and you can be assured it can be delivered on time and on budget. Rich started in Canada as a “test pilot” for architectural CAD development on the first desktop IBM computers way back in ’83/84. He came to permanently reside in Australia in 1987 to work on the Sanctuary Cove development on the Gold Coast as Computer Operations Manager for The Hulbert Group. cMacd consulting & design was created in Sydney in 1990 as an independent consultant selling and supporting ArchiCAD Australia wide. That support included training architects which often resulted in him doing the whole CAD design & documentation input. Covering everything from houses & high-rise buildings to factories, the practice has evolved into architectural service for homeowners and developers. 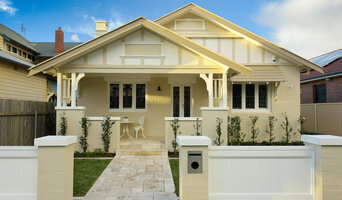 He moved from Sydney to Newcastle in 2005 and has many completed projects from Sydney to Brisbane. (If you’re interested, cMacd is pronounced “c-macked”… a combination of 'Mac' & 'cad'… and 'c'onsulting 'a'nd 'd'esign. It seemed like a good idea at the time…) Rich will help you understand the process of planning and approvals required to do a home renovation or build a new home. You will be given design options easily viewed in a 3D model and clear and concise plans & documentation and have the assurance that your new home will be within your budget. Whatever your experience… or lack thereof… he’ll be there to assist you. Welcome to Newcastle Home Staging, one of the longest established and most highly regarded property styling companies in the region. Selling property can be a stressful time, however we are here to assist by making the process as seamless and effortless as possible. Our aim is to have your property looking it's absolute best before it hits the market! Presenting your property in-line with the expectations of the target market is a crucial aspect of a successful sale. With our professional styling service and guidance, we can help you achieve a quick sale at the highest possible price. We provide a more client based approach allowing clients to be involved in the design process. 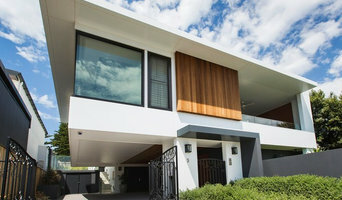 Mark Lawler Architects offer architectural services covering the Newcastle, Lake Macquarie, Hunter Valley, Hawks Nest, Port Stephens and Central Coast regions. We are a friendly, multidisciplinary architectural practice, committed to crafting personal and comfortable designs. Our directive is simple – to work with our clients and bring to life brilliant spaces for living, for work and for fun. Reach out to multiple professionals — especially for larger projects — and don't settle for the first bid you hear. Comparing multiple Newcastle, New South Wales professionals' bids and experiences can help you find the one that’s best for you. Ask a lot of questions now, so you won't have unexpected answers later. Find a home design professional: Narrow down your search by type of professional and location. Browse Newcastle, New South Wales portfolio photos, read client reviews and contact each Newcastle, New South Wales professional for more information. Check out the information in the specialised professional sections too for tips on how to hire the right professional in Newcastle for your project.